5030 propellers are the go to prop for most mini quads; they match well with ~2300kv motors like the DYS BE1806. This is a set of 5030 props, but with a difference, they are self-locking. Rather than needing a prop spinner or nut to secure the prop, the spinner is built in. You simply attached them by hand, no tools required. This is handy for racing drones, as when you crash it (trust us you will), the props are the first things to break. With these self-locking props you can literally be back up and running in seconds. As well as being self-locking they are also quick release, so you can easily remove the props should you wish for transportation. The props are designed to suit 5mm CW and CCW threaded prop adapters - if you only have motors with regular CW adapters you need to fit CCW adapters to half of your motors. We sell the self-locking props with CW and CCW adapters if required. 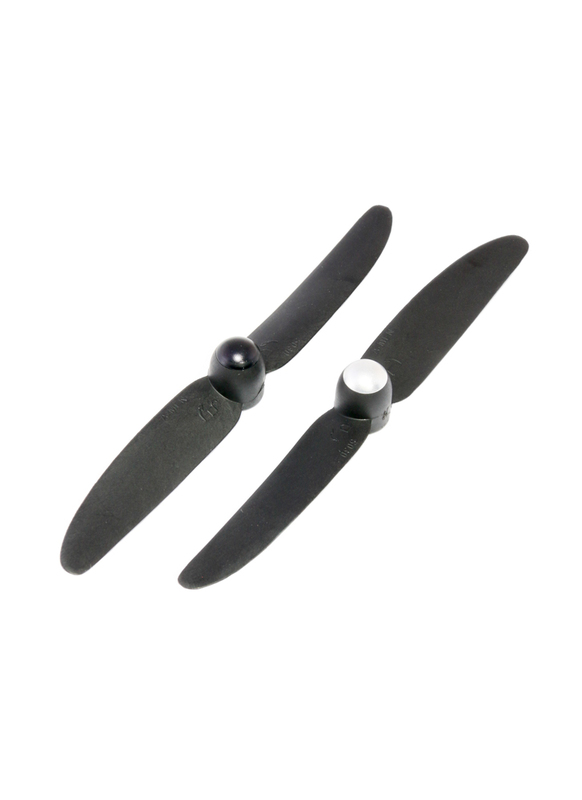 Included: A set of two propellers. One clockwise propeller and one counter-clockwise propeller. Are 5030 5x3 self locking props suitable for my TDrones Warrier? Hi Nigel, they only fit 5mm shafts. Could you change the drive shafts, we sell these props with the 5mm adapters.